SabeeApp GuestAdvisor drives increase with upselling, enhances the guest experience while you save time on guest administration. Your guests would prefer to check-in from the comfort of their armchair and would love to meet somebody at check-in who is focusing on them and not administration. Are you ready to delight your guests? Make it easy for your guests to book your services. Search. Decide. Pay. Just a few clicks. By giving more exposure to your guests, and making it easy to book and pay, you will be on the right track to upsell and cross-sell much more than you ever imagined. Getting feedback on how clean was your room right after check-in, or how welcoming was the reception can be crucial. We collect these feedbacks, and if there is something wrong, you can solve them right away. What does Guest Engagement Tools include? Be transparent, let your guests check their reservations on your customer portal. SabeeApp customer portal help you to be compliant with GDPR regulations. 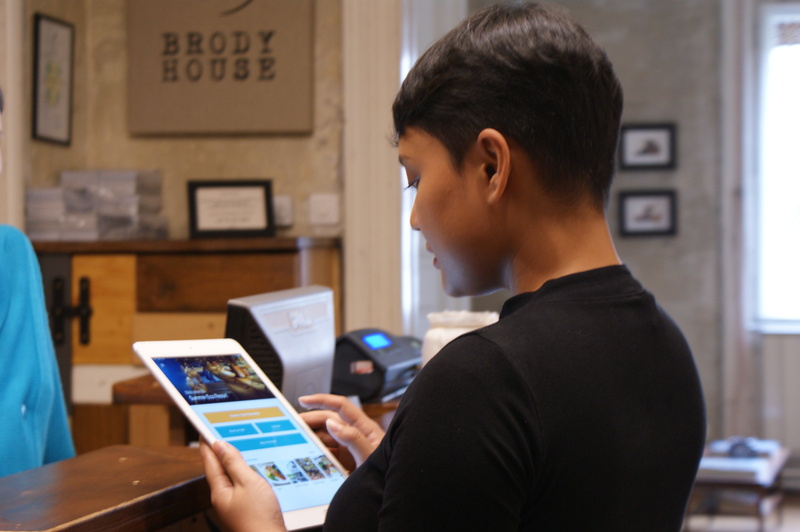 Enabling online helps you and your guests to save time on arrival. ever wanted to have the payment arranged in advance? With SabeeApp customer portal, your guests will be able to pay for the stay before arrival. Most of the guests prefer to check-in online to your hotel from the comfort of their armchair. Simplify your check-in process. A complete overview of the guest's reservation builds more confidence. One-click payment makes your and guests life much easier. GuestAdvisor is seamlessly integrated with SabeePay and the automated invoicing system. A reliable source of information at your guests' fingertips. 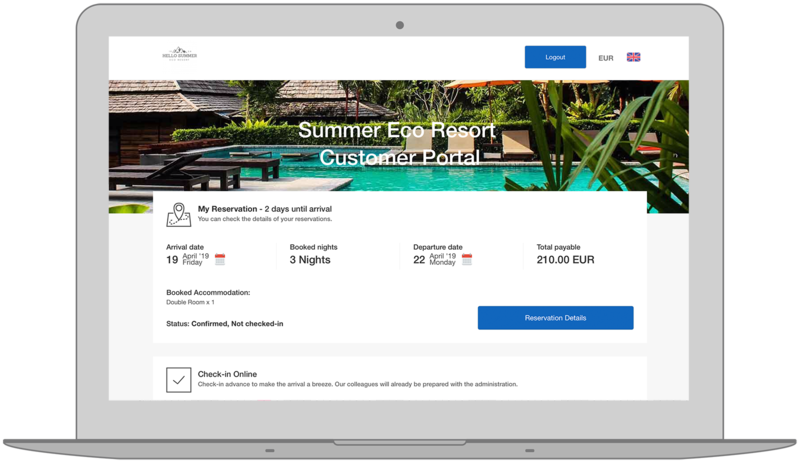 Add any information to your GuestAdvisor like your services, house policy, opening hours, location, surroundings and many more. Imagination is the limit. Guests value transparency. A detailed expense overview at their fingertips builds trust. Checking-in online to your accommodation, and using the one-click payment is just the beginning. In 2019 we make it possible to use their phone as a key to your rooms. 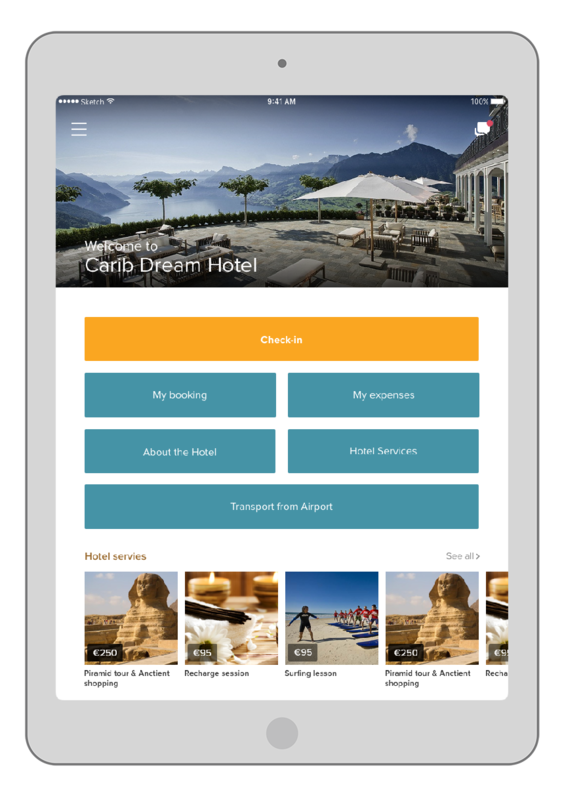 SabeeApp GuestAdvisor tablet version enhances guest experiences while adding another level of service to your property. It makes your daily operations more efficient while increasing hotel customer satisfaction. By adding information to your app that guests usually asks, by giving access to their booking and folio during their entire stay, by having a visual check-in kiosk and one click payment SabeeApp virtual concierge is meant to be a supplement of your stuff, and their personal contact rather then replace them. Ready to try your virtual concierge?